I believe American workers are the best of the best and can compete with anyone. But since 1986, Washington has stood by and let the rest of the world tilt the playing field against the American worker. The decline of the American middle class and the growing income inequality that both Democrats and Republicans complain about is a direct result of the continued deterioration of America for a place to do business, in large part because we’ve failed to make ourselves competitive. Our current tax code puts American businesses at a disadvantage and that translates to the loss of millions of middle class American jobs. If we really want to grow the middle class, give them a raise, reduce income inequality, and stop jobs from leaving our shores, we must make our tax code competitive in the world. That has got to be our number one goal and this week Congress unveiled framework to help get us there. This plan offers simplicity so that a majority of Americans will be able to file their tax return on a form as simple as a postcard. It also lowers rates for individuals and families by shrinking the current seven tax brackets into three, allowing hardworking Americans to keep more of their paychecks. For business owners, it levels the playing field so that companies stop going overseas and taking good-paying jobs with them. This plan lays the groundwork for tax reform that will help grow our economy and make America competitive in the world. 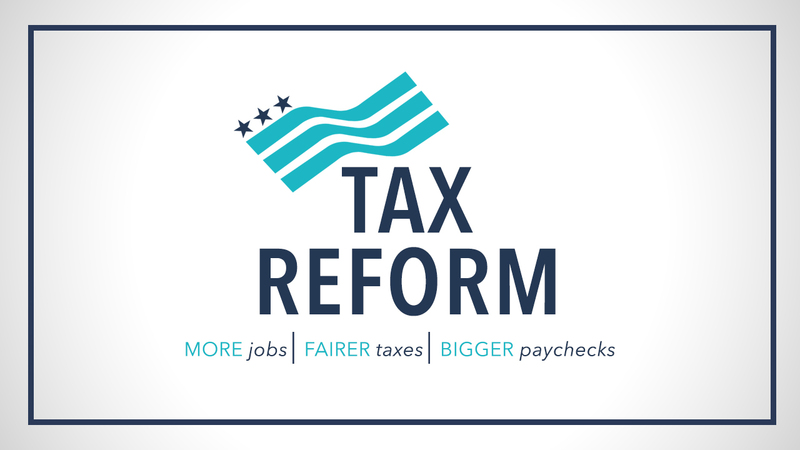 As a member of the tax-writing Ways and Means Committee, I’m working hard to make tax reform a reality so that we can restore our competitive spirit and provide more opportunity for our kids and grand kids. To learn more about this plan please click here. The Medical University of South Carolina is a key hospital and health center network that serves our entire state, including the McLeod Health system. It is crucial to research but also to patient and specialty care, including telehealth services. I'm happy to announce that this week they were awarded a $600,000 grant to expand and further improve their telehealth services. 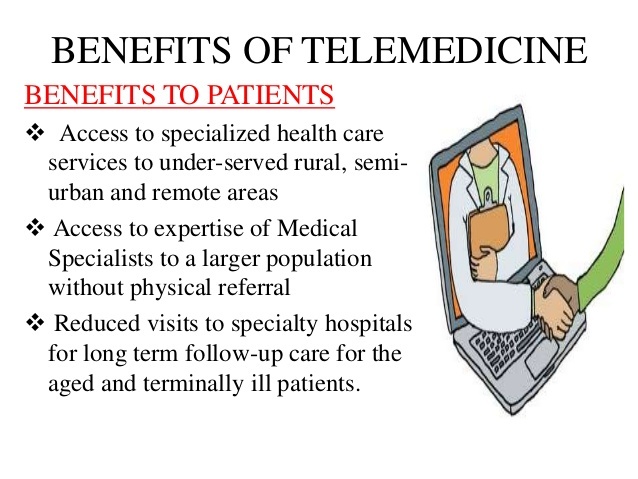 There are many parts of our district and across our state that rely heavily on telehealth services, which allow rural communities more services and better access to health care. Telehealth services are critical to helping those in rural or under served communities. Specifically, MUSC's Center of Telehealth has developed an impressively broad range of services, which include everything from telestroke and mental health programs, to a thriving school-based program, outpatient and inpatient specialty services, telehealth services in patient’s homes, and a special focus on chronic disease management. In addition, they have worked through a collaborative of the four South Carolina children’s hospitals to focus on the distinctive needs of children. With this grant, MUSC can continue their impressive programs and better serve both rural and urban patients through telehealth services. In June we were all shaken to learn the news that a gunman open fired at a Republican practice for an annual Congressional charity baseball game. Among those at the practice was majority whip Steve Scalise, who was severely injured after being shot in the pelvis. In the months following the attack, he had to undergo extensive surgery and rehabilitation to re-learn how to walk. What happened that morning on the baseball field was truly unthinkable. 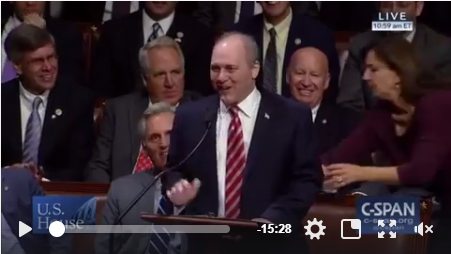 This week I was happy to witness his return to Congress and was moved by his inspiring speech on the House floor. I encourage you all to watch below. As he said, "It starts with God. The power of prayer is something that you just cannot underestimate." Resources to recover from Hurricane Matthew are still available. 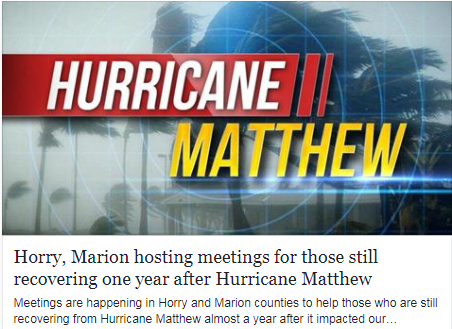 A permanent intake office has been set up at 1404 N. Main St. in Marion but representatives from the South Carolina Disaster Recovery Office will also be on hand in Mullins on Tuesday to help assist with the application process and to answer any questions you have. To schedule an in-person appointment, call 844-410-8560 or see below, where you can find more information and also apply online. If you have any questions that aren’t addressed on the website, email ContactSCDR@scdr.sc.gov for assistance. Applications will be accepted until November 10. Members of the U.S. military sacrifice so much to protect our freedoms, among one of the biggest is leaving their families while they are deployed. Just ask Navy Airman Jessie Tencza. 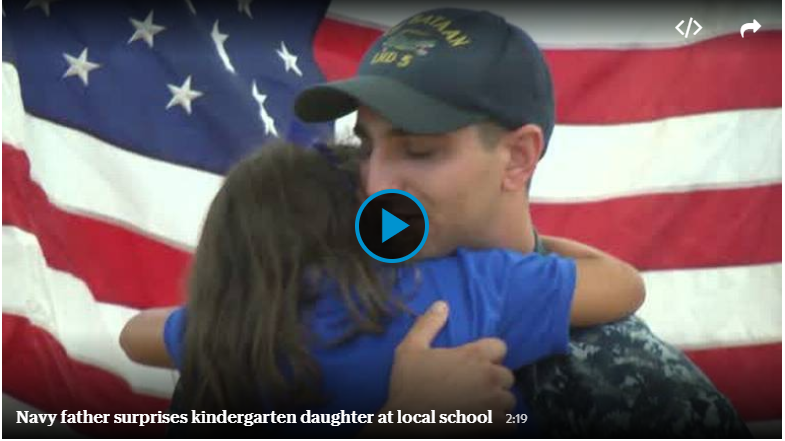 He was deployed in the Mediterranean Sea, but this week he returned home to surprise his daughter and see her for the first time in seven months. Watch their reunion below- a truly incredible sight!